By Bryan Buttler·	 12/30/2014, 9:30 a.m.
From the outside, the Kimmel Center looked as it always does on Monday evening. 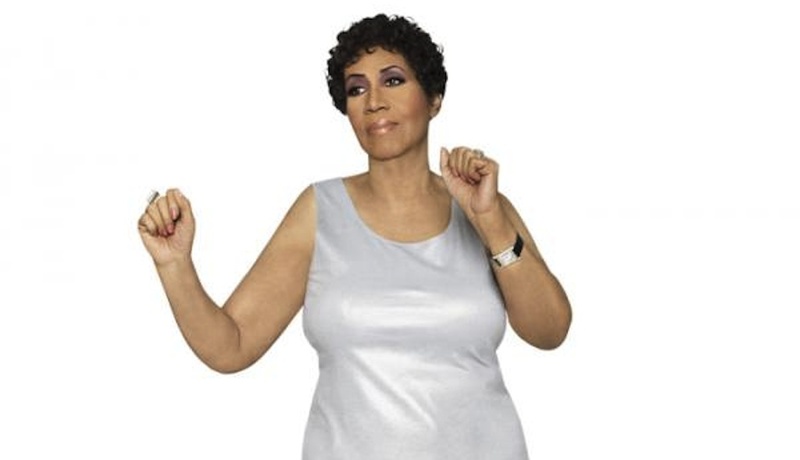 But, on the inside, the Queen of Soul took everyone inside Verizon Hall (donned with a disco ball, mind you) to church. The iconic Aretha Franklin, in her first public Philadelphia performance since her 2010 concert at the Mann Center with Condoleezza Rice, showed exactly what it means to be royalty: she donned a stunning floor-length sleeveless black and white sequin gown for the first half of her act, looking every inch a queen. Her opening number, a cover of “Higher and Higher,” roused the nearly sold-out crowd to their feet…as if they needed a reason to give Ms. Franklin a standing ovation. The performer then went on to belt out a countless array of hits, including “Oh Me, Oh My,” “Jump To It,” and “Ain’t No Way.” She then changed into a less-stunning, but nonetheless flattering, white and gold tunic and, as she re-entered the stage, proclaimed “We’re going to church.” This part of the concert featured the surprise guests The Williams Brothers, who joined Ms. Franklin in a series of songs from her album Amazing Grace. It was here where Ms. Franklin addressed rumors of her cancer scare in a series of vague, but pointed, improvisational rifts with The Williams Brothers. She sang about going to the hospital and having two young doctors take her into a “small room” to tell her bad news, and how a year later, she returned to the hospital and was told what they “saw on the CAT scan and x-rays [wasn’t] there anymore.” Of course, the crowd went wild. It is worth noting that not once did Ms. Franklin mention “cancer” in her performance, and for the record, she still calls reports that she was diagnosed with pancreatic cancer “rumors.” However, this moment in her performance seemed to conflict with her previous insistence that her health was, indeed, fine. Yet, the audience reveled in her story. Perhaps that is because Ms. Franklin can tell a story through music like no other singer really can; at 72 years old, she has a star power and stage presence that is undeniable, and she doesn’t seem to be slowing down. She recently released yet another album, Aretha Franklin Sings the Great Diva Classics, which features several numbers she performed at Monday evening’s concert, including a cover of “Midnight Train to Georgia.” Ms. Franklin’s voice, although not at the peak of what it once was, still thrills in a soulful way that not many other performers can match. When she took to the piano to both play and sing “O Holy Night,” it was a surreal and gorgeous holiday treat. However, it can’t be denied that the Queen is starting to show her age: early in the set, after her voice cracked during a rift, she told the audience, “That’s not what you paid for. Heck, that’s not what I paid for.” She then turned to her band, who was playing the intro to the next number, and said, “Let’s take it down a bit; take the hair off of it, please.” Later, she performed a rather awkward remix of “Rolling in the Deep” and “Ain’t No Mountain High Enough” where it wasn’t terribly clear if she forgot the lyrics or purposely left out long passages of Adele’s song. But, the audience knew the truth: the Queen wasn’t stealing an extra bow. She earned it, and then some.